Get your card battle on with this CCG vision of the world of Mabinogi. If you've been keeping up with the collectible card scene for some time now, you're probably familiar with Mabinogi Duel, one of Nexon's latest. 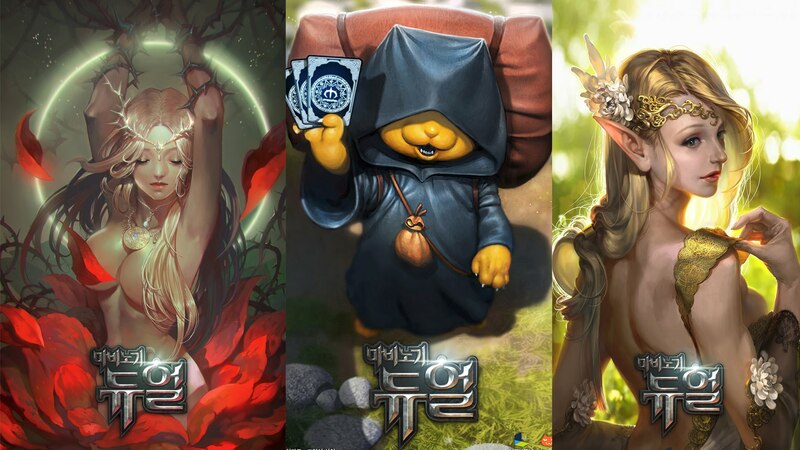 The people who brought us MapleStory are back with the newest addition to their Mabinogi MMO franchise, and with it we've got a new set of tips and tricks to help keep you on the path to victory. If you're ready to rally the troops, keep reading! Be sure your hero is combat-ready. This may seem like a no-brainer, but ensuring your hero stays at full HP and leveling up immediately whenever you can is an important strategy to help keep your fighters at the top of their game. Make sure you keep your hero's HP around 20 and you should be golden for anything the game throws at you. Leveling up is a key strategy to ensure you have the most powerful cards at your disposal. When you level up, you get additional HP and attack points. You'll also need more resources to use them, however. You can see what resources you need by tapping on each card, and this way you can use the Charge button whenever you need a break to earn more resources. What you end up getting are randomly generated, so you'll have to maintain a healthy balance. Don't just let your battlefield languish. You'll need creatures in it if you want to launch any kind of attack. Even if you don't have the strongest cards you could have from your deck, go ahead and summon what you've got. Then start working on summoning even stronger cards to take the brunt of the damage from your enemies. Much like in Magic: The Gathering, you can use the stronger cards as damage sponges to keep the focus off of you and on fending off attackers. You can revive special destroyed cards and reuse them again by using the revive skill, but it will cost you health points in the end. This goes back to ensuring you use your health points wisely and make sure your cards are good to go at all times. If you overcompensate and have more HP to go around, then you won't have to worry about spending additional points to revive cards. Just don't go using it again and again and expect to come out on top when you're effectively whisking it way from under your own feet.